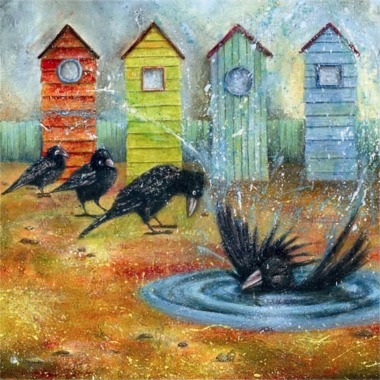 While walking along the beach, feeling a little bit bluesy, I spotted some crows by a puddle. One of them was flapping his wings and splashing about in it to his heart’s content, while the others quietly awaited their turn. This scene brought a smile to my lips, as I thought how very English they were-even the birds form orderly queues!